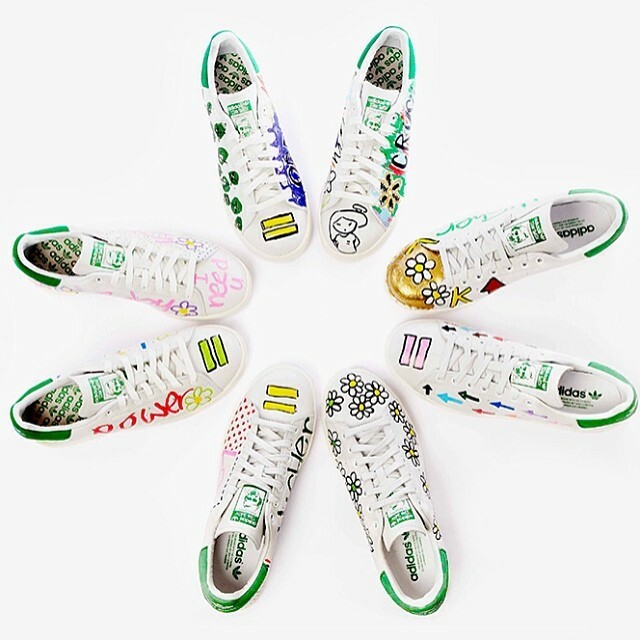 Continuing work for From One Hand to Another, Pharrell Williams recently added his custom touch to 10 pairs of the adidas Originals Stan Smith for charity. Hand-painted by Pharrell himself, the limited run is being made available at colette Paris today. All proceeds will go to FOHTA, established by Pharrell to support learning programs developed for underserved youth between the ages of 7 and 20 in at risk communities throughout the country. There's no information on the pricing at the moment.